Energy Saving Glass has continued its investment in its in-house manufacturing facility with seven-figure spend on a new toughening facility. 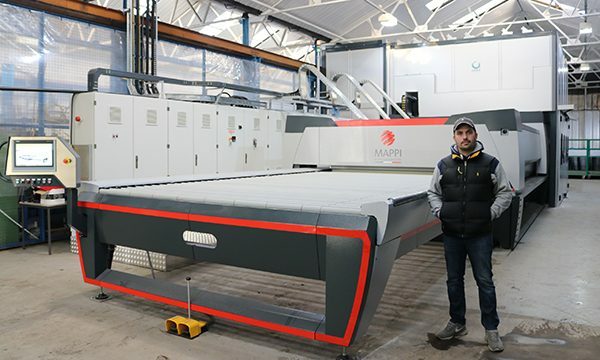 Installed this month [September] and supplied by Promac Group, the new line features new Mappi furnace, MTL Panther cutting table, and Forel Vertical Arrising machine and Washer. 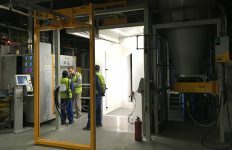 Alex Walker, Director, Energy Saving Glass, said the IGU specialist had taken the decision to invest in an in-house toughening facility to give it greater control of its supply chain. He said: “We weren’t getting the reliability in the supply of toughened glass that we wanted. Ultimately that was something that had started to impact on the service that we were able to offer to our customers. The ATS Eco 4.0 Furnace, has been developed by Mappi to offer reduced cycle times and increased productivity and efficiency, through a series of exclusive innovations. Hitting tempering temperatures within an hour, this includes Mappi’s Multizone Heating System, which exploits a network of electronically controlled sensors to apply constant and highly focussed heat only where glass is detected. Energy consumption is reduced through its Energy Saving System, which uses a computerized ventilation system to optimize fuel consumption. This is further enhanced using a technically advanced 350mm insulation. The ATS Eco 4.0 also uses a patented roller mechanism, which synchronises the movement of ceramic rollers providing perfect glass flow without the requirement for use of sulphur dioxide in the heating process. A smart cooling system also introduces more precision to the cooling process, reducing iridescence. 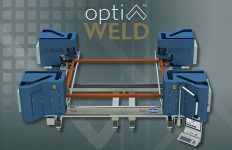 It’s combined this with a high speed MTL Shape Cutting Table, capable of cutting at up to 120m/minute, plus a Forel EG2201 Arriser and VW1600 Vertical Washing Machine. 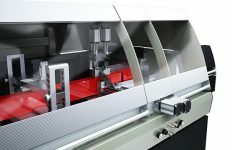 The EG2201 Ideally suited to processing of shaped glass, with two independent grinding heads guaranteeing a symmetrical arrissed edge, even where glass is cut with a flare. This same focus on versatility is inherent in Energy Saving Glass’ new VW1600 Vertical Washing Machine. It’s suitable for use with all glass panes, easily handling coatings and a wide variety of different grindings and glass thicknesses from 3-40mm. Alex continued: “You’re edge quality has to be spot on in toughening. 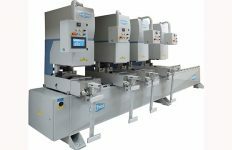 Forel are leaders in glass processing technology and we already run a vertical laminate cutting table, washers and IGU lines, so we know first-hand just how good they are. If we’re going to invest, we’re going to invest properly. “The investment in the furnace, arriser and washer give us control of supply in terms of flexibility, quality and cost.”, he concluded.